Guitar giant Martin made some big announcements about the brand's upcoming product line for this year. The news comes right before the winter NAMM show in Anaheim, which is set to kick off next Thursday. 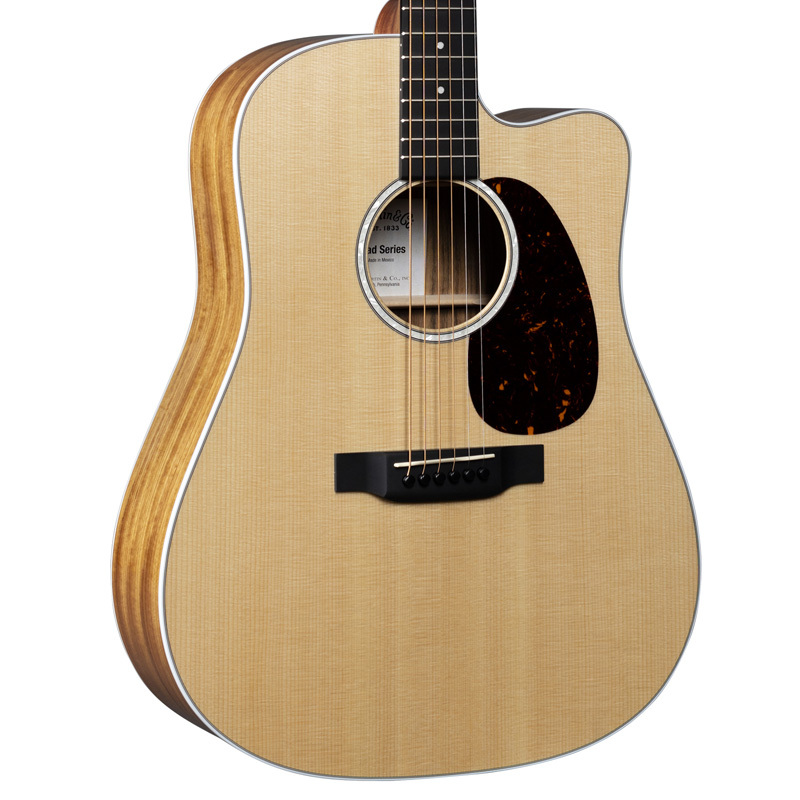 They include the brand-new Modern Deluxe Series and new Slope-Shoulder models, as well as updates to mid-priced Dreadnought Juniors and Road Series guitars. The Modern Deluxe Series features four models with a mix of vintage character and contemporary features: the D-18, D-28, 000-28, and OM-28. 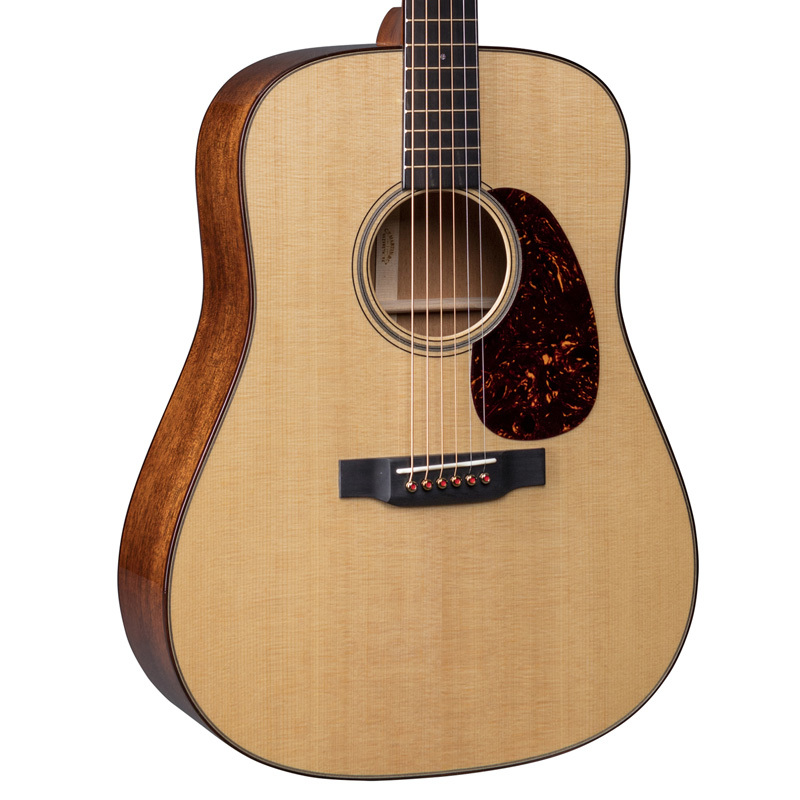 According to Martin, all four models feature Sitka spruce Vintage Tone System (VTS) tops with VTS Adirondack spruce braces "and natural protein glue construction that give it the rich, fully aged Martin tone that has inspired generations." All four models also feature gold frets and open-gear tuners, with headstocks adorned with a pearl-inlaid 1930s-style script logo. The D-28, OM-28, and OOM-28 will have a list price of $5,199 USD, while the D-18 will be available for $4,399. Some of the differences between the models are in back and sides material, with the 28-style models featuring back and sides made from East Indian rosewood with flamed maple binding, while the D-18 model features mahogany back and sides with East Indian rosewood binding. New to the Modern Deluxe Series is the brand-new ultra-low and slightly asymmetrical neck shape, which is exclusive to this series. The neck also features a new two-way titanium truss rod, which is 64 percent lighter than a traditional rod and makes adjustment easier. Other modern appointments include Liquidmetal red dot bridge pins and carbon fiber bridge plates for increasing volume without increasing weight. Joining the Modern Deluxe Series are three new slope-shoulder acoustic guitar models, the DSS-15M StreetMaster, DSS-17 Black Smoke, and DSS-17 Whiskey Sunset. The slope-shoulder StreetMaster features the same solid mahogany the original is known for and features scalloped bracing, Golden Age relic nickel tuners, and an old-style script logo. It will be available for $1,799. 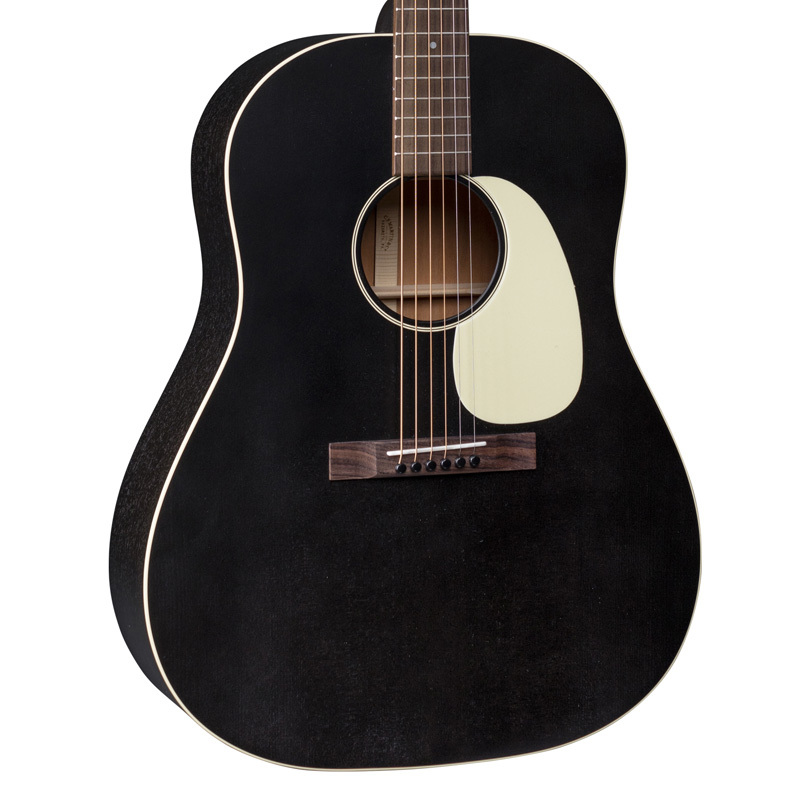 Meanwhile, the DSS-17 Black Smoke and Whiskey Sunset models feature dreadnought bodies with Sitka spruce tops and mahogany backs and sides. These models also features a low oval neck with high-performance taper and rosewood fingerboard for added comfort and easy playability. Last week, Martin announced a pair of new releases made in partnership with the Woodstock Foundation: two different limited-time models for the historic music festival’s 50th Anniversary. 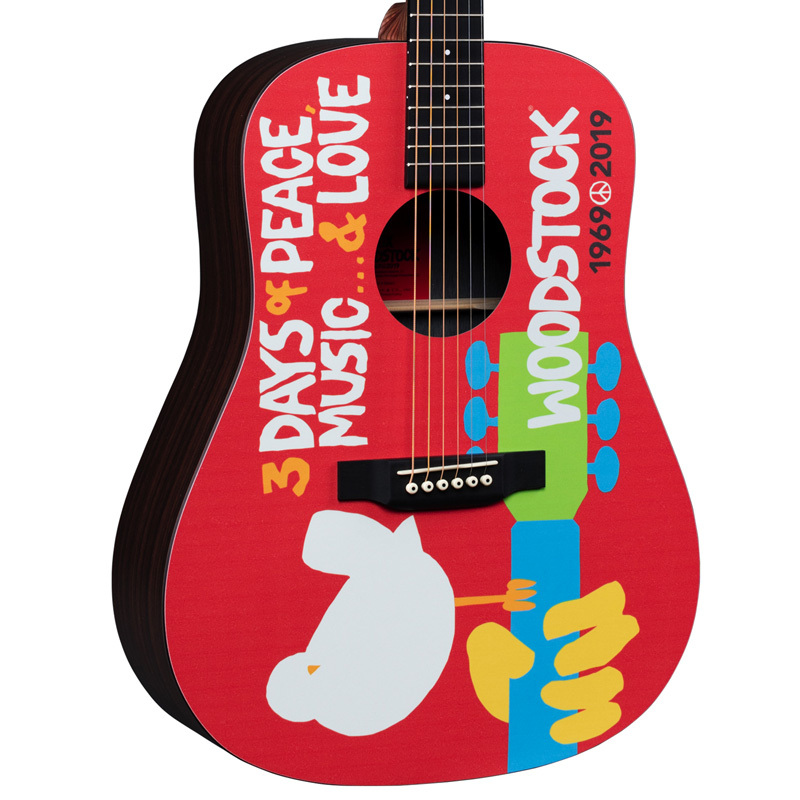 The DX Woodstock 50th will retail for $799 and features a finish based off of the original concert poster. 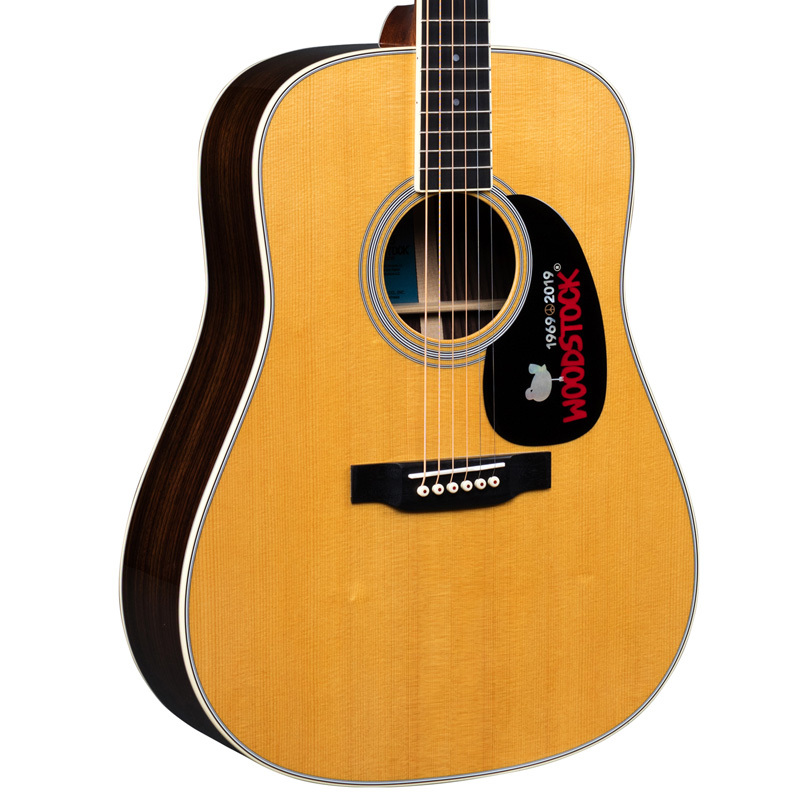 The D-35 Woodstock 50th is a premium model, which will cost $4,499. Instead of putting the poster on the body, it’s tucked nicely inside the soundhole. 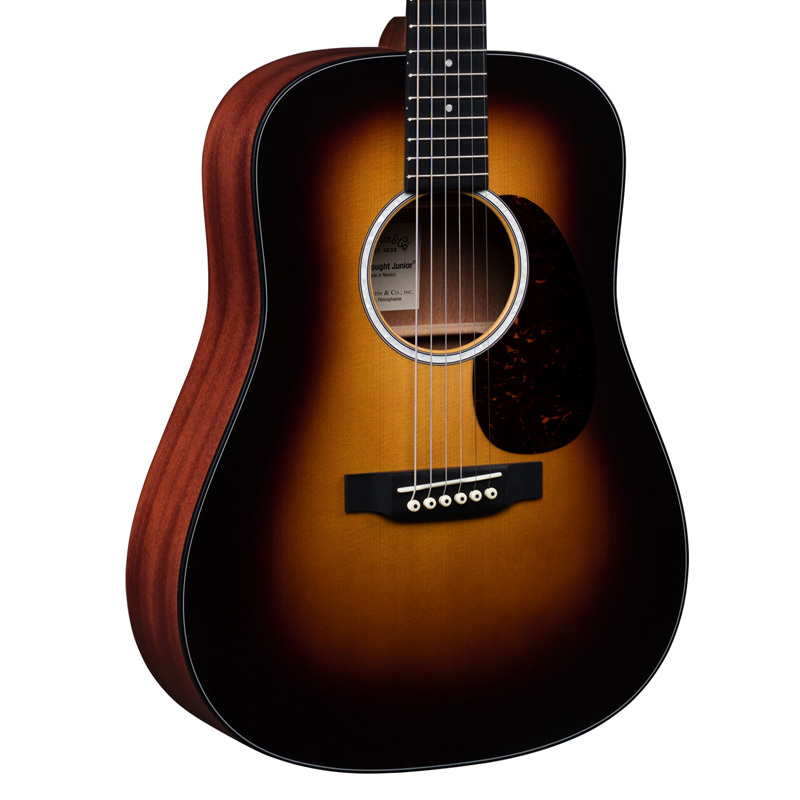 But it hasn't been all brand-new product line announcements from Martin. 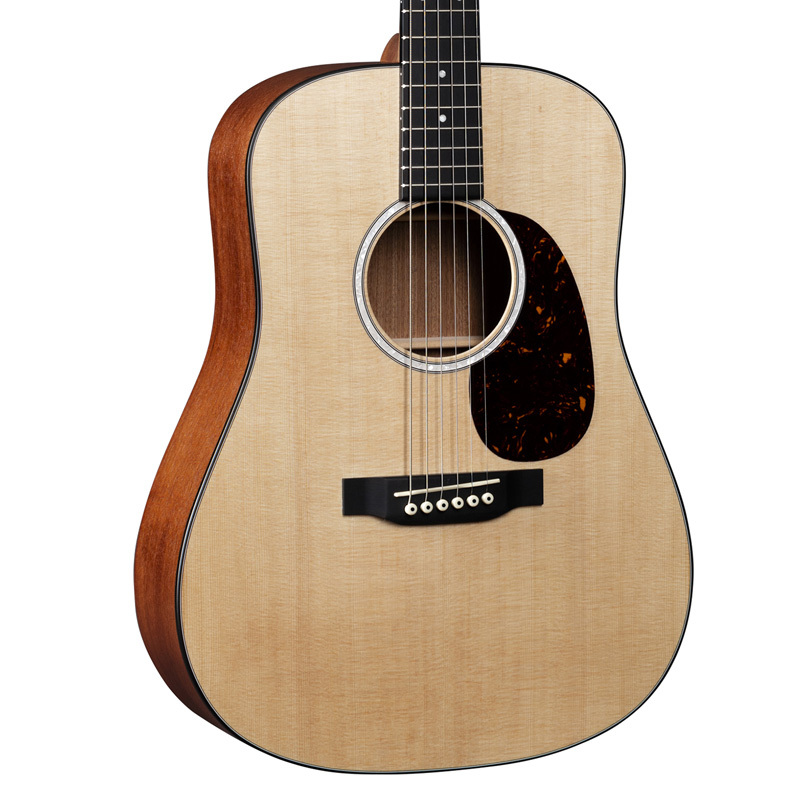 Also unveiled were updates to two popular Martin series, the Road Series and Dreadnought Junior Series. 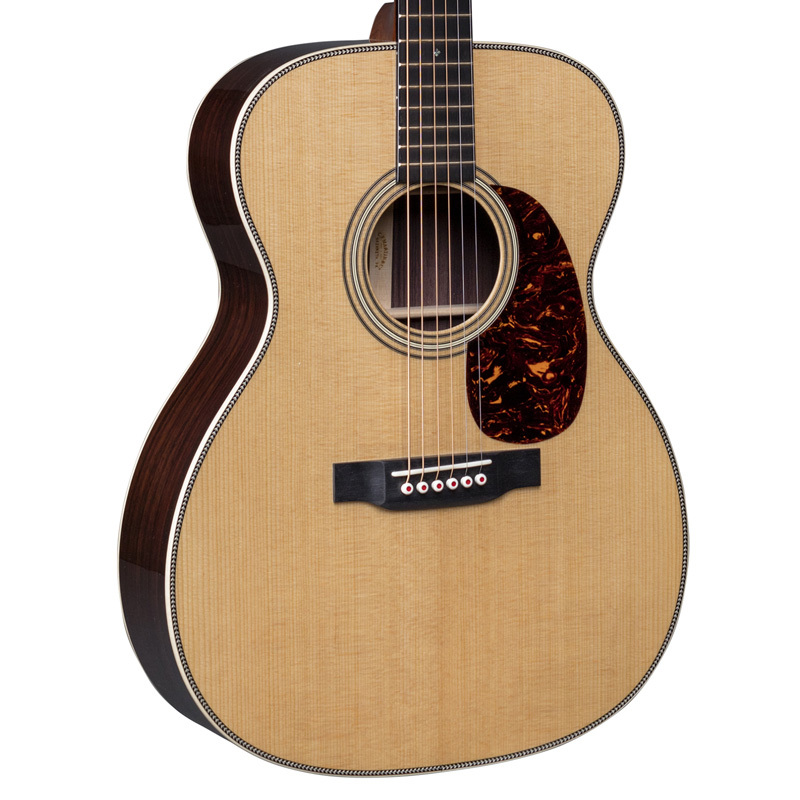 Aimed at value-conscious players after a full-sized, solid wood acoustic, the Road Series of models feature Martin's high-performance neck taper for comfortable playability and has now been updated to feature a mother-of-pearl pattern in the fingerboard and rosettes. 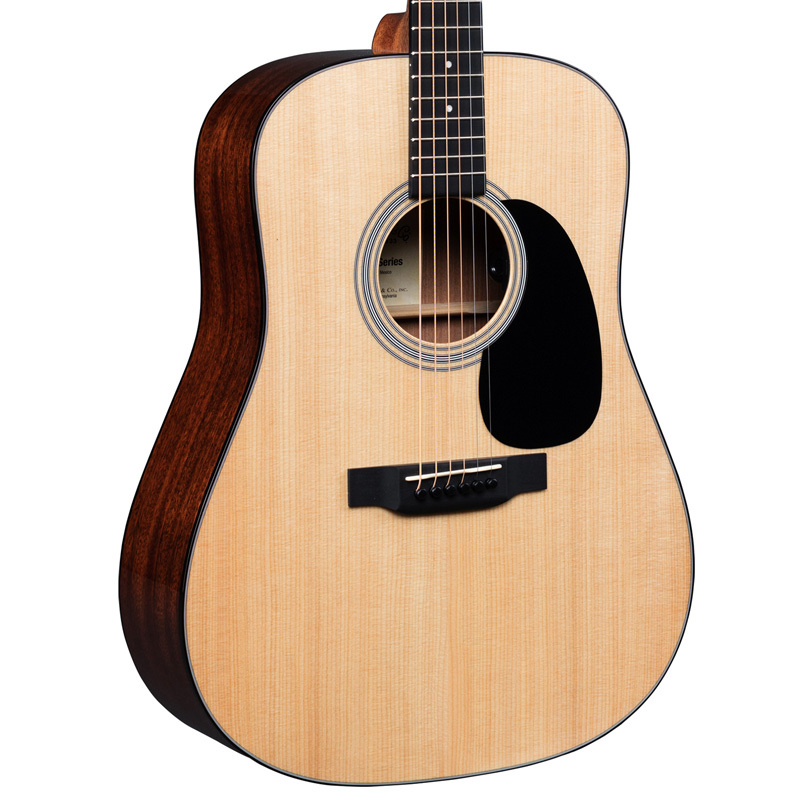 The most significant update to the Road Series, however, is the addition of discreet Fishman MX-T electronics with a built-in soundhole tuner that auto-mutes audio output for quick and easy tuning without the use of a pedal. 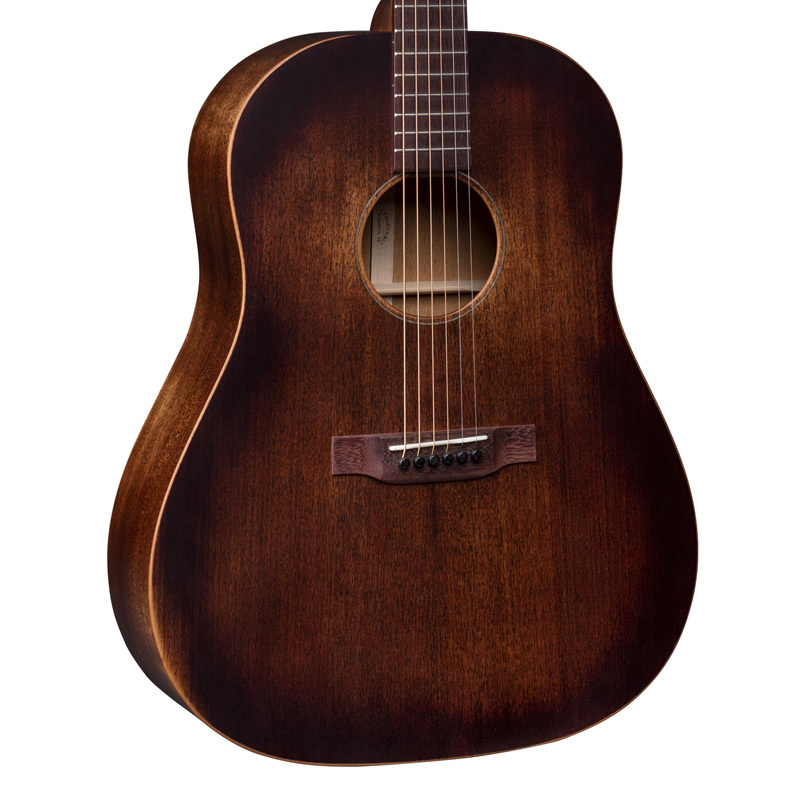 Meanwhile, the Dreadnought Junior Series—designed for players who want dreadnought sound in a slightly smaller body—features a Sapele or Sitka spruce top, Sapele back and sides in a cherry hue, and a hand-rubbed neck. Updates for this year include a thinner, 000 body depth with softer back edges, and each Junior model is available with or without Fishman Sonitone electronics.